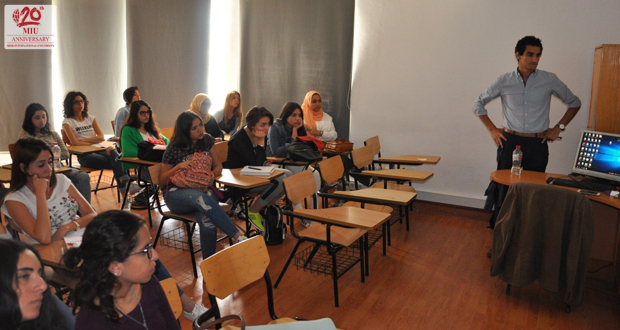 Mr. Amir A-Shennawy was invited to guest lecture for Mass Communication Documentaries classes about “the use of music in documentaries” on October 18, 2017. 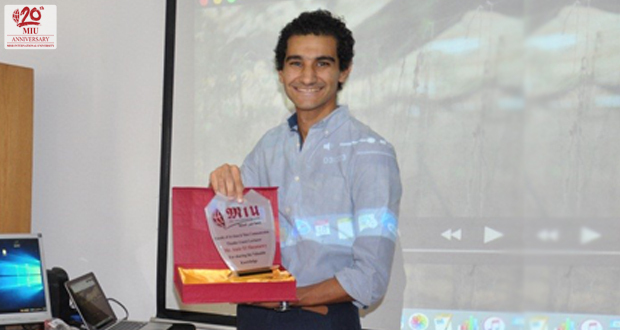 Mr. Shennawy got his MA in documentary film making from Goldsmith university, London, UK. The lecture gave the students a strong insight into music and documentaries. It was an eye opener to new techniques in the preproduction phase dealing with the M & E track. Mr. Shennawy used 5 different documentaries of various genres, schools and nationalities to explain the wide range of choices that documentarians have when adding the music to the final soundtrack.